Circlets part 1: Bless - welcometohawkhavens Webseite! Trying to get back into the modding groove, I decided to start with something easy XD And since I have amassed a good amount of circlets from various games, I thought why not :D So this mood will be updated as I go along. Sorry for the crude link, but my internet has been crappy for a while now and not all jimdo functions agree with it at the moment. I got several requests for Nelke`s ears, so here they are XD Actually I got requests for Nelke as a companion, but she is one of my babies and I am kind of not ready to let her "go" yet XDD Maybe soon. 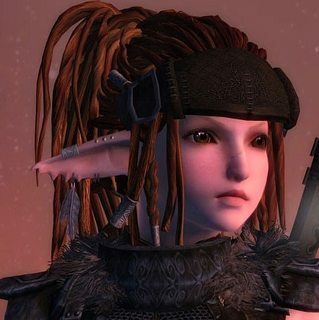 The ear mesh was ripped from a BLESS Online monster (the Succubus to be exact), so they will never be released on the Nexus ;) they are also kind of low on the details, so I cranked up the poly count a bit - the result was so/so. The ears are accessories, not actual ears. They come in two variations: with and without earrings. 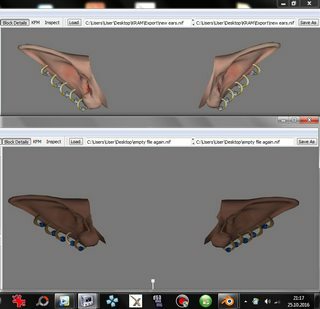 The ears will be part of my next wig mod update so they already have the folder structure of my wig mod. Found online, I sadly have forgotten where exactely. I think they are from a japanese 3d dating sim game? xD I claim no rights! 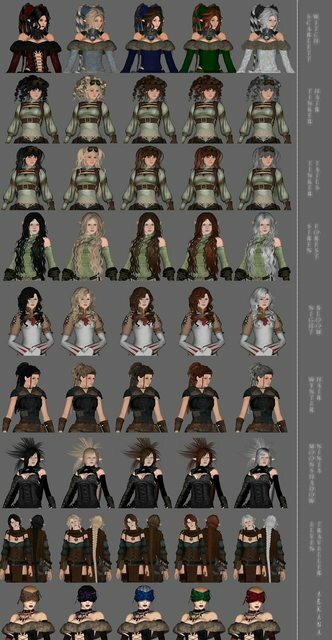 These are to be used with wigs, add them to your game as accessories (tail slot should work best if wigs hog the amulet slot) or to wig nif files. The ears come in 2 sizes (original is the bigger size, I made the smaller version for personal use but added it anyways XD) and with or without matching earrings. So, what is this? It's the ESO - logo (you know the one with the lion, the dragon and the eagle) as an amulet :D I found a very low poly mesh of it on the net, no textures etc - and went nuts. I used the original ESO textures and boy, it took forever to get right. But finally, HERE IT IS! Since the leather cord is a bit longer than the vanilla amulet length, there might be clipping issues with large cup sizes or bulky armor. This file includes all the old wigs, some fixed stuff, the ears, etc PLUS several new wigs with and without accessories!! 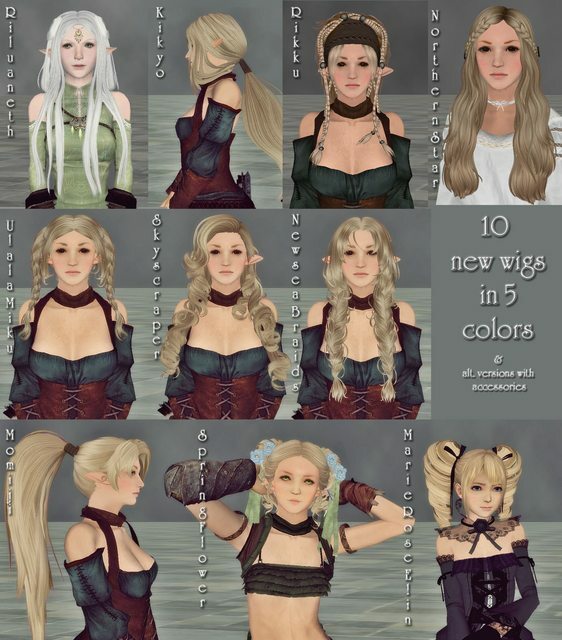 This of corse includes Marie Rose's hair from DOA5 from the previous release. In here you will find Sims3 ports, Poser hair, video game hair (DOA5) and random wig mash-ups I made along the way. It's a total of 20 (TWENTY!) wigs in 5 colours each. YAY! Some of the new wigs have extra versions with accessories, like Kikyo and Riluaneth. That's a suprise :) I decided to not add the accessories as extra items to avoid item slot - hogging. Since this upload includes ALL of the previous wigs, please allow it overwrite the old stuff. Also: since I have no way of testing the new wigs ingame, please let me know if something makes your game go boom. Added, with updated esp. Hurr. Drag, drop, overwrite, you know the spiel. Ehehe :D I have always loved Marie-Rose from Dead or Alive Ultimate, so here have her hair as a wig :D It comes in 5 colours, no ears attached, sorry. There is no stand-alone esp at this time, the included esp is just an update for my chakaru wigs mod to add this wig to the set. I fixed the meshes. Please overwrite the old one with these.